Hi, I'm lifting weights for a while now and I'm eating more. This has led me to a bigger belly, and i want to get rid of it. I've heard abdominal exercises wont work for this problem. That cardio will do. If so, which cardio workout is the best so I can get rid of that fat? 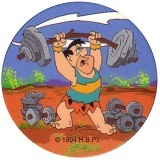 derok wrote: Hi, I'm lifting weights for a while now and I'm eating more. This has led me to a bigger belly, and i want to get rid of it. Clean up your diet. Avoid eating processed, convenience, fast and junk foods. Foods high in sugars and refined carbs (white flour and white rice) are the worst offenders when it comes to raising insulin levels and increasing fat storage. No exercise program can keep up with your fork. Also,make sure that you're getting an adequate amount of sleep every night. Makes you feel hungry even if you are full. Sleep loss has been shown to affect the secretion of cortisol, a hormone that regulates appetite. As a result, individuals who lose sleep may continue to feel hungry despite adequate food intake. Increases fat storage. Sleep loss may interfere with the body's ability to metabolize carbohydrates, which leads to high levels of blood sugar. Excess blood sugar promotes the overproduction of insulin, which can lead to the storage of body fat and insulin resistance, a critical step into the development of diabetes. There are three good ones you can count on. 1) Heavy resistance training. Most likely you are doing it now. Do big compound exercises atleast once per workout, and maybe take more higher volume (6-12 reps for 3-5 sets) with lower rest times along as accessorial exercises. Try supersetting too. There are some circuit programs you can do after the main lifts also. But the point is that resistance training will cause you great amount of fat burn afterwards. It will raise your metabolism, the muscle will grab energy and nutrition from where ever it can, and you will lose fat. 2) High intensity interval training (preferrably anaerobic). Yep, it has pretty much the same effect as resistance training, it will elevate you metabolism and burn fat for energy for several hours after working out. The optimal is a 30 minute workout, with about 20 minutes of it work sets. In short, do sprints. Like 15-30sec high intensity, then rest 0,5-2x the worktime, which is anywhere between 7 seconds and one minute depending on your set. Do this for 10 or so times and you got yourself a workout. Hill sprints count as even more effective. 3) If you still got time, there is just any cardio that will burn fat. It's just not that effective and has it's risks of backfiring. A brisk morning walk or jog before breakfast is recommended. Some still like to run these one hour steady-pace jogs, but prioritise the two above first. Aerobic exercising is still good for your heart and lungs. BUT remember, without a proper nutrition, exercising along won't cut your fat off. By combining proper eating with exercising you'll get what you want. Just be patient. This will not happen over two nights. What about stationary bikes like Fit Load? I don't like bikes. But that's just a personal preference. They are allright in means of losing fat. If you get the resistance/speed to match a good interval routine then no problem. The main point behind all this is sudden bursts of high amounts of energy, and big heart rate variations. That'll get the fat burning. If looking for cons in cycling...First off, cycling doesn't use as much muscles and motor units as something like running or cross-country skiing does, but the difference is not that huge. It'll most likely burn a little less fat than hill sprints for example, I would like to know if there actually has been any research about the issue. Secondly, cycling too much might lead to some mobility issues. Like shortened hip flexors. But that takes hell-of a lot of cycling. That's the main reason why Ice hockey players shouldn't be cycling much during off season. Skating can have the same issues, which makes it a horrible combo in frequent exercising. And what about cardio affecting your muscle mass gains? Truth or myth? I guess i must control how much cardio i should do. For cardio, how many days a week, and how much time per day? You should try plate push-aways. Jungledoc wrote: You should try plate push-aways. Thanks. Looks like fun. Gonna check that one out. One rep at the end of each meal. Jungledoc wrote: One rep at the end of each meal. derok wrote: And about quantity? It's not the volume, it's the intensity that matters. Get your heart rate up to a challenging level for a few short periods, about 3 times a week. Then go for a walk. Most of your results will come from dietary changes. Whether it is running, cycling, rowing or using a cross trainer, subjects improved best when working at maximum intensity for 1 minute, then resting. These sessions need only be 20 minutes, which is just 10 minutes of high intensity training.